Breakfast is finished with, it’s 9:30am (9:36 to be precise) and I’m continuing to locate models that need painting. It’s now 12:15 and a lot of work has been done. Emails sent, letters written, tidying done and so on, and now here I sit again. Packaged up my 95th Rifles to send to Artmaster Studios – very much looking forward to seeing how they’ve painted the other 16 I sent a few weeks back. Sadly I’ve done some budgeting and i’ll be reducing the number of miniatures that I send to them. I’d like to send them all, but here’s what I have in my British Army that needs painting. 2 Guns and 10 crew. Now Artmaster charge a reasonable rate (this page doesn’t render well using FF). £10 per infantry and £20 per Cavalry, 10% postage and £1 per base, not too bad, but it all adds up. Grand Total : £4224 – 10% (for larger orders) = £3801.60 then we add some P&P back on..
P&P is around 10% normally, however sometimes it’s £10 minimum and £75 maximum for orders, so that’s quite good I think, due to the demands from the Post Office! Again not a bad figure for a fully painted army, but with the house extension and my set of rules that are moving along at some pace, I’m not sure what I can get painted. My thinking is that I get them to paint up my better units and I paint up the lesser units and try and match their style (their style is what I really liked). So there we have it, two blog posts in 24 hours, a bit like buses, you wait ages for one, and two turn up! Anyway about to email Toby regarding miniatures…. Back, yes back – update on basic stuff, long post. I’m currently writing my own set of Wargames rules, currently it’s titled ‘Empire of Sand’. I have a domain for it, and should work on that, but too busy working on the actual rules. Just ordered GW’s 40k 6th Edition. Two copies. Normal rulebook for the reading of, using and playing and the collectors for storing. I plan to take that edition down to Warhammer World and find some of those responsible to sign it. The madman in me is still living. Wargamming though. I had a short go of Maurice during the week. I am really really liking that system, it’s very good, so good that I’ve ordered a 10mm French SYW army from Pendraken Miniatures. I’m slowly building my 28mm Perry Brothers British Line Infantry Napoleonic mniatures. I built up one Victrix gun and had that painted by Toby at Artsmaster. He’s currently painting some 95th Rifles for me (16) which I should get back next week and then I’ll send him another 16, or maybe 36 redcoats…. not sure yet, trying not to spend money. I found Artmaster Studios just by random, looking somewhere for something and found an awful video. Ah yes, I was looking for colours for the above models and just found someone with a painting video. Emailed them, Toby replied and now he’s doing them. It’s not cheap, approx £10 per model (and I have over 300 to paint) so I’m going to have to do some myself. I do like the style though, like it very much. It’s not how I’d paint, so i’m going to have to learn how to copy it so my units all fit in! Warmachine – Menoth forces include Daughters of the Flame (6), Exemplar Errants (10), EE UA (2), Wracks (3), Holy Zealots (6), HZ UA (1), 3 Warjacks (3), Choir (6), 3 Warcasters (3). Cinerators (6) and Cryx, I have 4 Warjacks (4) and a Warcaster (1). On top of these I have Solos, so I have Vassal,, EE Seneschal and others. Warhammer 40k – Not sure where to begin, approx 300 Eldar, approx 200 Marines including Land Raider, Vindicator, 3 Drop Pods…..
Warhammer Fantasy Battle – 3 Batallions of Dwarfs (112 Warriors, 64 Rangers/Thunderers/Quarralers), 3 Cannons and 1 Bolt Thrower. Plus Rune Lord and Rune Smith (both Finecast). 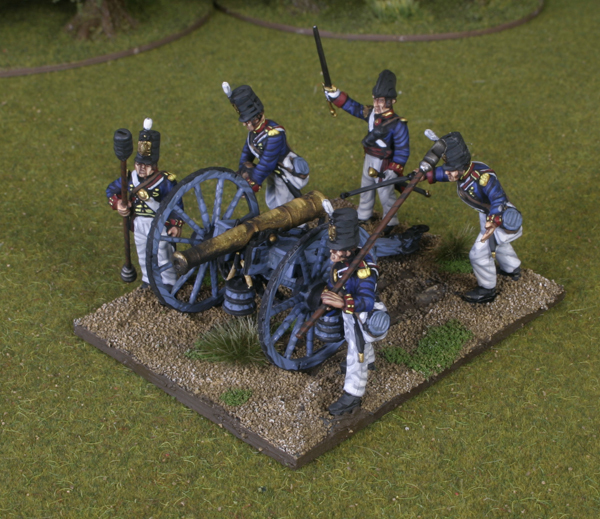 British Napoleonic – 2 Artillery (10), Highlanders (120), Riflemen (16), Line Infantry (180). Relics – all the starter sets, must be 40 figures. So a quick count, 55ish add 500 40k add 180 WHFB add 128 Vikings add 326 Naps add 40 Relics and add 26 EoTD, what’s that 1255. Not included my new 10mm army (that’s on it way), or the 2 15mm armies I have here! I’ve added some of their paint racks as well, I hope to be able to clear some space so I can pull the rack down, paint some figures, put the rack away etc. Anyway that’s it for now. I’ll post more when it happens, but changes are happening.